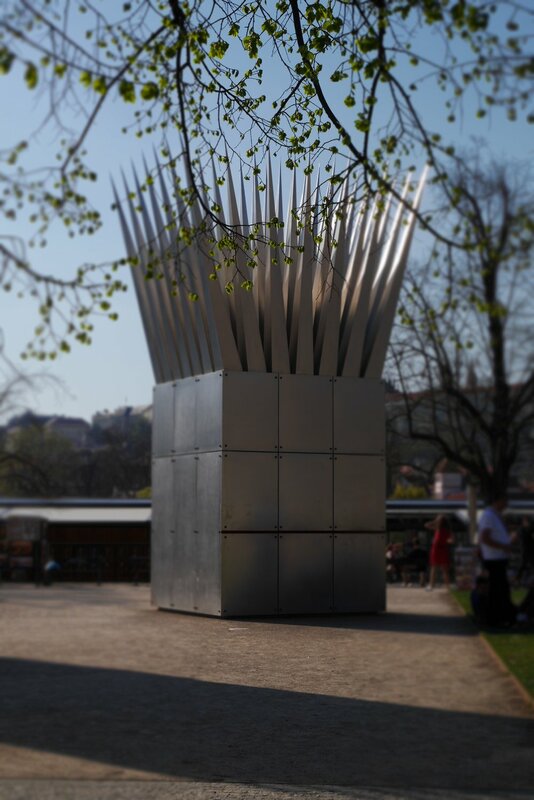 John Hejduk’s House of the Suicide and House of the Mother of the Suicide, remembers the fatal act of a Czech philosophy student Jan Palach, whose 1968 self-immolation in protest against the Soviet occupation became a symbol for national resistance. 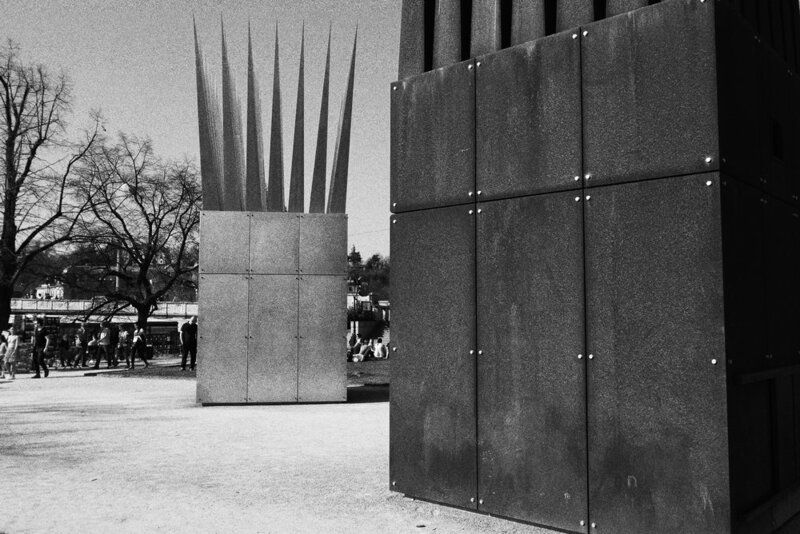 The memorial formed by two nine-by-nine-foot steel cubes is situated at the edge of the Jan Palach Square Prague. 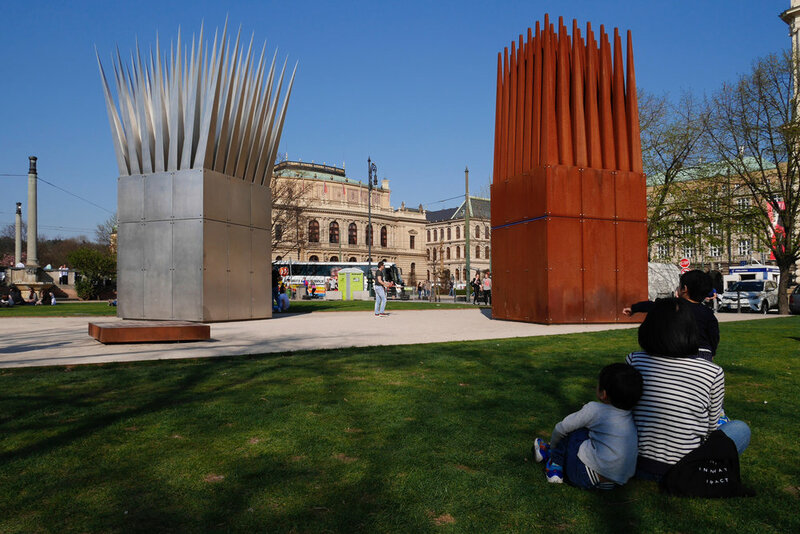 If House of the Suicide expresses confrontation and resistance through its reflective brushed stainless steel and sharp thorny tentacles. House of the Mother of the Suicide on the other convey ‘a corresponding rage tempered with steely resolve’ through the use of Cor-ten steel with chamfered tentacles. 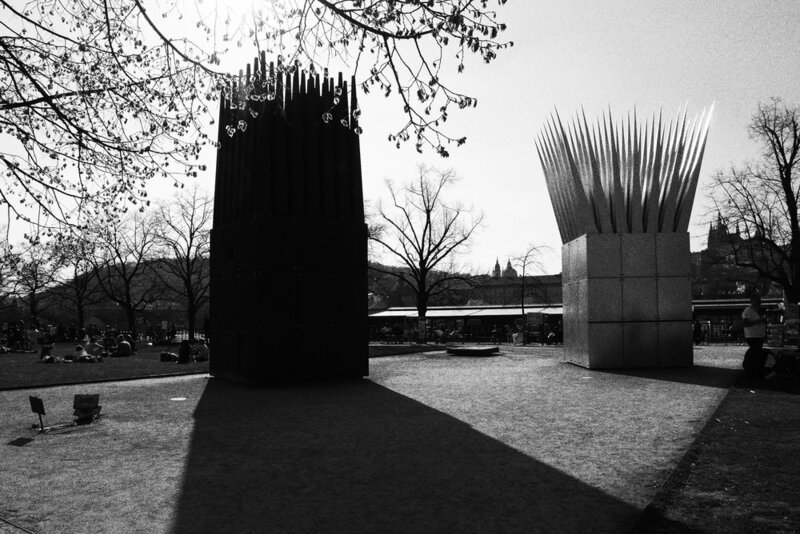 The structure is complimented by a poem written by David Shapiro dedicated to the memorial. I’ll follow you on foot. It was snowing on the police-cars. And it was alright I was dead.